October is one of the absolute best months of the year. Warming soups and stews make their return, leaves turn magical colors, and there is the perfect chill in the air. To help enjoy all the benefits the harvest season has to offer in good health, this edition of the Dr. Joey newsletter is filled with tips and tricks on how to ward off colds and flus, game changing health advice that really works and... how to drink your java in a healthy way (and who doesn't love that?). Little tips for big health changes? You got it! These 5 little health tips can improve your energy, drop excess weight and get you on the path of healthy living fast! Click here to find out more. We are a small company... but growing fast! We would love to hear about the Dr. Joey products that have hit a store near you. Whether it is GNC, Longo's or your local health food store - we want to give them (and you) a shout out of thanks! All you have to do is take a picture of Skinnychews or ALL GOOD bars when you see them and email it to drjoey@drjoey.com with the subject line "I spotted you!". By doing so - we will ship you a thank you CD or book and samples of ALL GOOD bars on us. 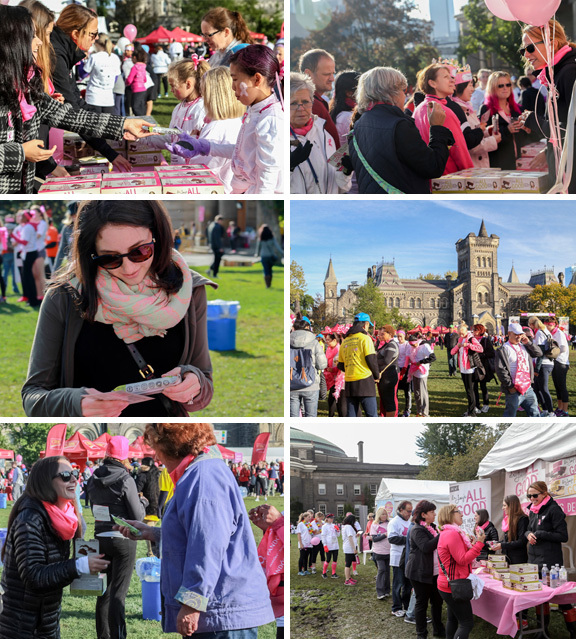 The Dr. Joey's ALL GOOD team was thrilled to be part of the CIBC Run for the Cure on Oct. 5th. Thanks to all the runners and walkers who stopped by the ALL GOOD booth to pick up their free bar full of protein, fiber and natural goodness. We met wonderful people, heard some great stories and were able to talk "clean eating" all day long (our favourite subject!). Check out some of our pictures below. PRODUCTS WE CAN'T STOP LOVING! 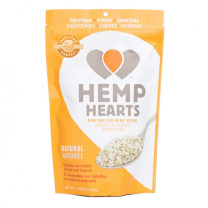 Of all my favorite ingredients to put into my morning smoothie - hemp hearts tops the charts! In just 3tbsp of hemp hearts, you will benefit from 10 g of protein and 10 g of omega 3 essential fats (great for hair, skin and digestion). To top it off, one serving of hemp hearts offers close to half your daily recommended intake of magnesium. Check out my morning "hempolicous" smoothie below! If you are like me and love your morning java (yes... I quit for 2 months but am now back to 1 per day! 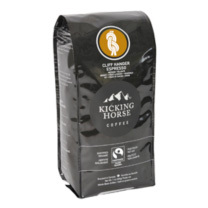 ), Kicking Horse coffee is a brand you will want to know about. Kicking Horse uses only the finest, organically grown Arabica beans from certified Fair Trade sources. It is grown at higher altitudes than most other coffee beans, giving the coffee a bold and rich flavor. Grind just before using and mix 2 heaping tablespoons of ground coffee beans with fresh, cold, filtered water. Brew for about 4 minutes and store leftover coffee beans in a sealed container to keep it fresh! As a healthier sweetener ? try sweetening your morning cup of coffee with low glycemic coconut sugar or drink it black. This green tea and vitamin C drink mix is the perfect "immune boosting go-to" to have on hand during cold and flu season. 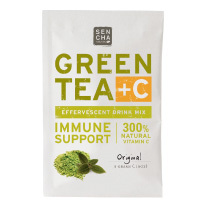 The blend of sencha and matcha green teas offer more nutrients than standard tea bags and are the ideal immune supporting ingredients. Vitamin C and antioxidants are also found in the blend ? providing 300% of our recommended daily intake. Ginger, turmeric, and orange peel are also blended in for further general wellness and support. How to use - pour package into large mug, add 8-10 oz of hot or room temperature water, stir well and enjoy! Please note: liquid will bubble when powder is added in. 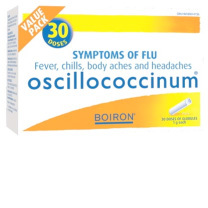 Oscillococcinum is a must have homeopathic remedy that should be taken at he first sign of flu like symptoms (chills, aches, fever or headache). I cannot tell you how many times it has saved me in the past! Simply place 1 vial under your tongue letting the small white beads gently dissolve. Of course, talk to your doctor for any health complaint. 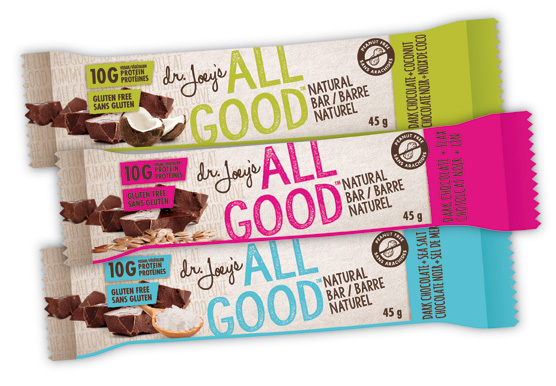 Thank you to everyone who voted for Dr. Joey's ALL GOOD bars. 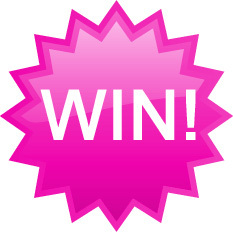 A special congratulations to Demi Paiken for winning the Dr. Joey basket valued at over $300! 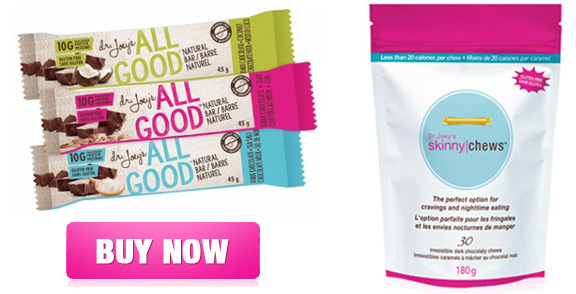 To learn more or to order your ALL GOOD bars or Skinnychews (which are now at a new lower price! ), click here. Slice onion and coarsely chop then sauté in 1⁄2 tsp oil till slightly golden. In a Pyrex baking dish; layer bottom with sautéed onions, add on top with zucchini rounds alternated with tomato rounds. Bake at 380 degree for 30 minutes or until topping is golden. Combine ingredients into blender, blend and enjoy! Sprinkle with some additional cinnamon. Heat 1 Tbsp broth in medium soup pot. Sauté onion in broth over medium heat for 5 minutes stirring frequently. Add garlic and continue to sauté for another minute. Add broth and rest of ingredients except beans and salt and pepper. Bring to a boil on high heat, reduce heat to low and continue cooking, uncovered for 45 minutes or until vegetables are tender. Add beans, cook for another couple minutes, season with salt and pepper, and serve. In a small bowl mix pumpkin puree with cinnamon, pumpkin spice, coconut oil, eggs and maple syrup and beat with a fork until well combined. Heat a large pan over medium heat, lightly coat with coconut oil or butter and pour about 1/3 of the mixture onto the griddle for each pancake. Cook for 3 minutes on each side or until pancakes are golden. Top 5 things we love about... pumpkin! Pumpkins are filled with health promoting nutrients such as vitamin A and C.
1 cup of canned pumpkin offers 7 grams of fiber and 3 grams of protein. 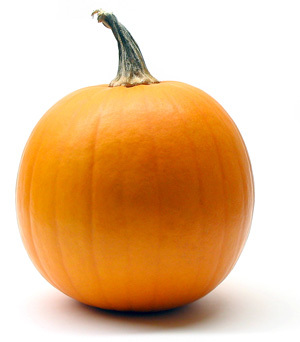 1 cup of pumpkin contains only 49 calories but... because of the high fiber content, you feel fuller for longer! Pumpkin seeds are naturally rich in certain plant-based chemicals called phytosterols that have been shown in studies to reduce LDL or "bad" cholesterol. Pumpkin seeds are rich in tryptophan ? an amino acid that is necessary for the production of seratonin (your "happy" brain chemical), helping boost your mood naturally. Congratulations to Ashley on her amazing weight loss success at the Shulman Weight Loss Clinic. 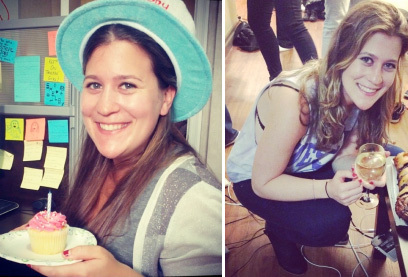 She lost 28 pounds and 13 inches overall and she looks and feels great!